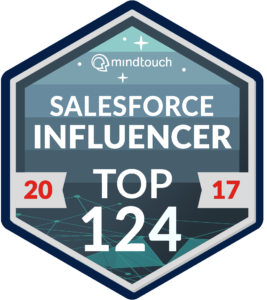 Are you struck by Salesforce Lightning Experience then this post is for you? Users working in Salesforce Classic are used to seeing tabs across the top of their screen in Salesforce. In Lightning Experience, the primary navigation is now on the left, with a vertical bar and icons representing objects. From Spring 16 Release we can customize the navigation menu to tailor the navigation experience for your various types of users. For sales reps, you can put commonly used items, like accounts, events, and organizations, at the top. For sales managers, you can put reports and dashboards at the top. You can add, remove, and move items so that users can go to the places they use most often with a single click. It’s easy to create custom navigation menus—a Setup wizard steps you through the process. Create navigation menus to give your users a shortcut to Salesforce features they use most. Have a sales navigation menu that prioritizes the items most applicable to your sales team. Put events, accounts, and organizations at the top. Create one for inside sales with leads, tasks, and contacts first. Give your execs a time-saving navigation menu that contains reports and dashboards at the top and removes the items they rarely use. Keep in mind that your users can always go to the App Launcher to get more objects and apps. Most of the items that appear in the App Launcher can appear in a navigation menu. Even if the objects aren’t supported in Lightning Experience yet, you can add many of them to navigation menus. When clicked, the objects open in Salesforce Classic in another tab. The Navigation Menu wizard walks you through the process of creating a custom menu. To start the wizard click on Setup Setting Gear Icon>Setup Home>from the Setup Quick Search box, enter Navigation Menus.> Click on New >You start by naming the navigation menu. The wizard displays a list of all items that can appear on a navigation menu. Drag the items you want from the available list on the left (1) to the navigation menu list on the right (2). To reorder items on the menu, drag them up and down. To remove items, drag them back to the available list on the left. When you’re done, the navigation menu items list on the right reflects the order in which they appear on the navigation menu. Next, you select which of your org’s user profiles (1) you want for this navigation menu (2). That’s it! You’ve created a custom navigation menu. Now, clone this one and use it as a template for the next navigation menu. Show below image for new Navigation menu with Standard and custom objects in the left side. You can customize this as per your need. Thanks for include my post !! For sure! Great how-to on a much needed Lightning Experience. Thanks for this, however I was wondering if we can assign this through permission sets and not profile? No, You can define Navigation menu for users by Profile only not through permission set. Profile will define the access for Navigation menu. Do you have any Idea about https://developer.salesforce.com/forums/?id=906F0000000ApF8IAK#!/feedtype=SINGLE_QUESTION_SEARCH_RESULT&id=906F0000000DAunIAG this question. Please post your thoughts about that question. I have created one navigation menu and assigned to System Admin profile (me). However, my menu didn’t change. So. as per you blog, I cloned the first navigation menu and assigned to System Admin profile (me). After refreshing, the menu changed to the 2nd navigation menu I created. How to go to the first navigation menu I created? or How do I switch between navigation menus? Once’s you created Navigation menu in lightning then assign to System Admin or your profile and try to refresh the page then it will appear there. So if you again want old default menu then remove yourself from custom navigation menu then save. Let me know if you have any other issue. is it possible to create navigation menu programmatically? I am not able to find which object helpful for that. Which object holds navigation menus. I think we need to insert through metadata integration.If yes which object/class holds navigation menu. What about my personal tabs? I customized my tabs in Salesforce classic, and so have other users, is the an equivalent of the + tab? From Winter17 all tabs display as respective to App and when you click on app launcher then there you will get ALL Items for view all tabs. I have added one custom button in opportunity Page in Lightening Experience..I have designed that custom button through lightening component..But itsn’t visible in the salesforce 1 mobile App. If i check lightening pages of that Opportunity in salesforce 1.But that button isnt Visible i.e I have designed through lightening component..?? Hello pritam i am not able to find navigation menu in setup in spring 19 release salesforce.